We are attempting to produce a full-body vibration machine. A platform that a person stands upon which produces a see-saw like motion. During most of the operation it will be sitting on the ground, although, it can be used in many different ways. The vibration pad itself is the main concern, however. After the design of the pad, the other features can be explored, including handle bars and wheels for transportation and mobility. We have been asked to build a machine that children, who are estimated to be under 70 lbs, will stand on to vibrate their body. By doing so this is expected to increase the child's performance and mobility. Most of these kids will be able to support themselves, so they will not need assistance during their use of our machine. 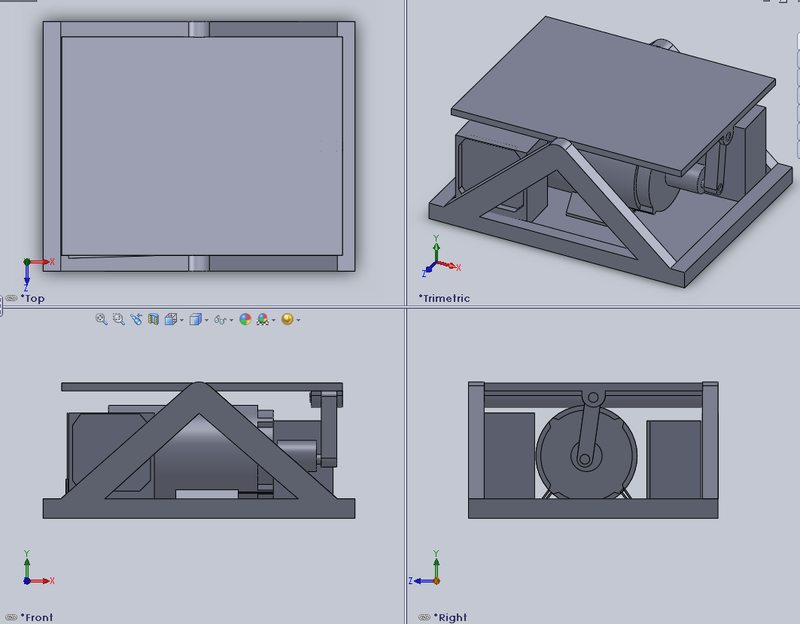 We have been asked to design our machine in the "Galileo" style, where the pad produces a 'see-saw' like motion. There are machines like this on the market, however, they are prohibitively expensive. 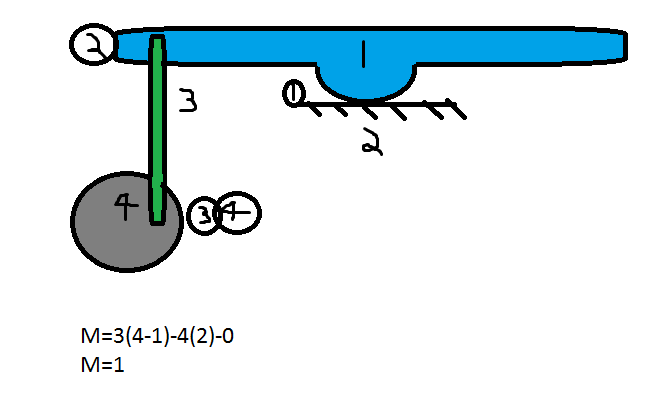 All of the designs have a pivot and motor in the center location. A child stands on the top plate and all machines are powered by only one motor. 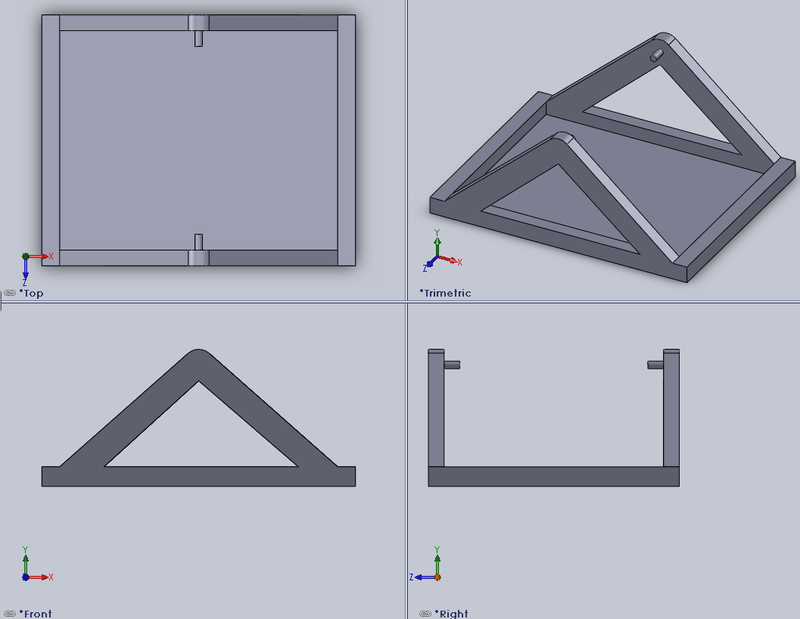 In this design, the top plate is supported by links. 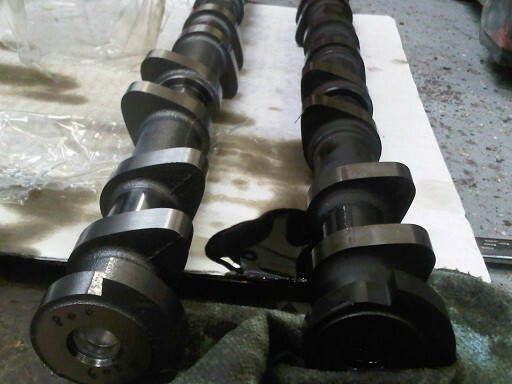 The motor turns the dark blue shaft, which is a crankshaft and represented below. 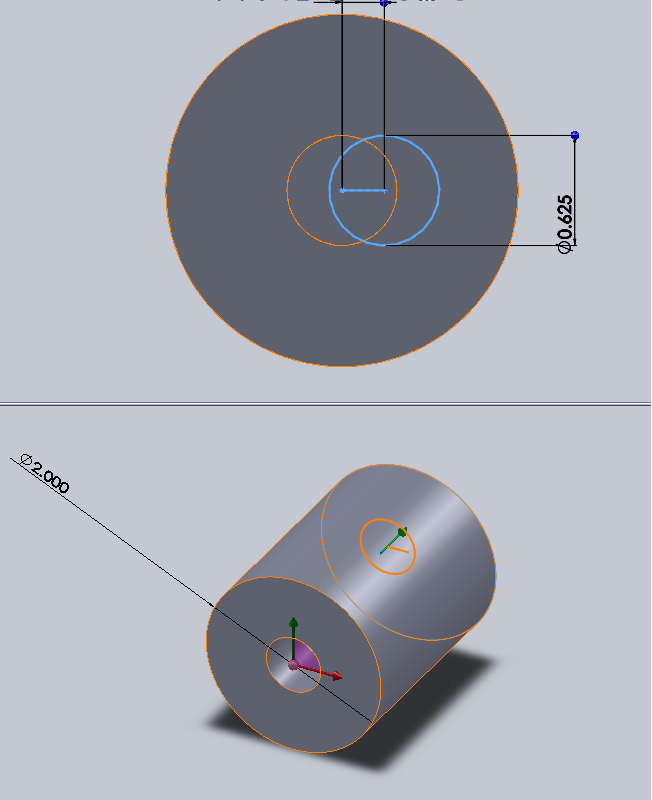 This shaft is designed so that the links do not hit each other by splitting the right-side shaft into a fork where it connects to the crankshaft on two places. This ensures that both links are aligned and produce no imbalance of forces—which would result in unwanted additional vibrations. 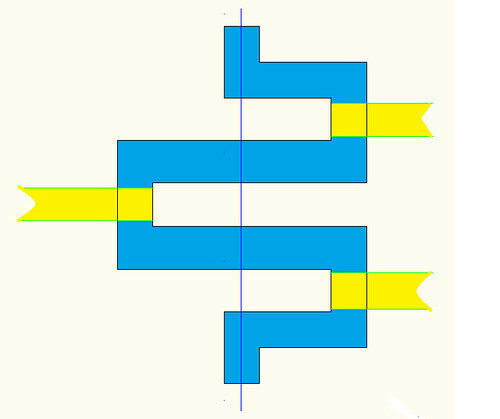 The axis of rotation of the crankshaft is represented by the blue line. 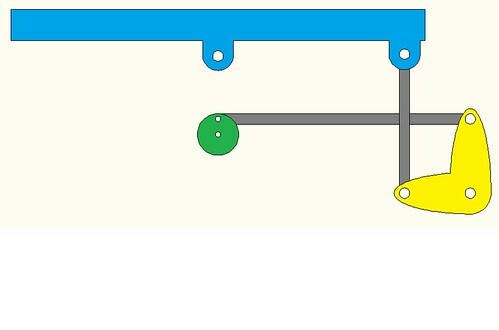 Yellow represents the links broken up that connect the shaft to the plate. There has been a problem discovered about the plate, making the plate immobile. 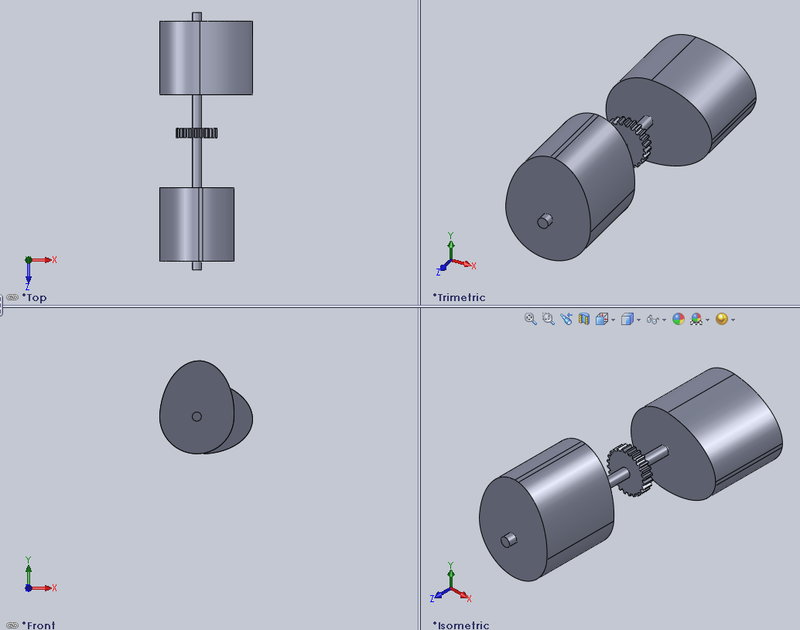 The plate will now have a side that will allow motion by turning a pin joint into a cam joint. The image above is the improved version of it. This design has the same idea as the previous concept, however, the plate is only cycled on one side. A single bell-crank is used to convert the rotary motion into oscillations to vibrate the pad. 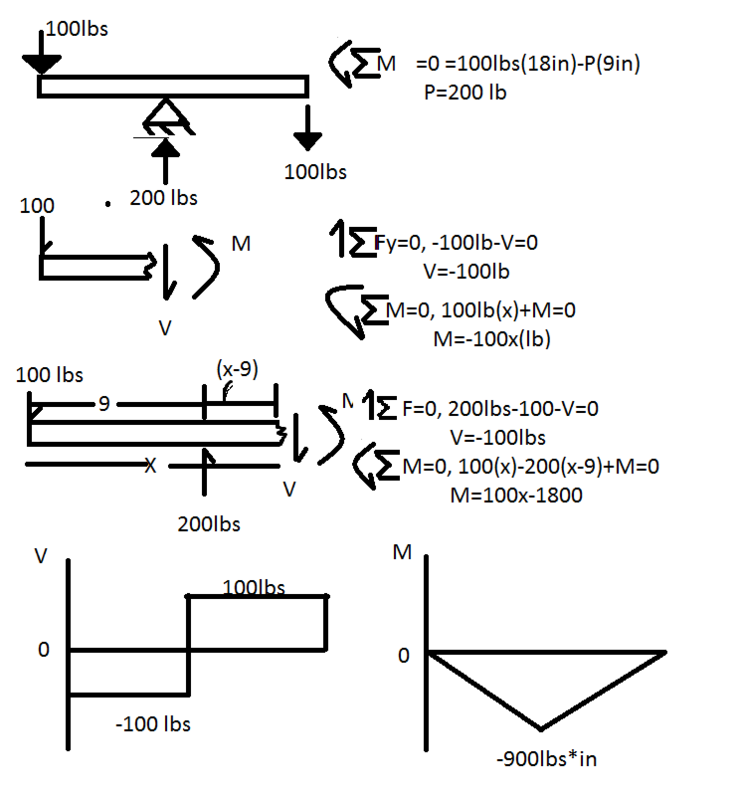 This design involves the use of cams linked by a ribbed, steel-ply belt. Red circles represent sprockets being turned a ribbed belt. The outer two red circles are connected to camshafts and subsequently, cam lobes. 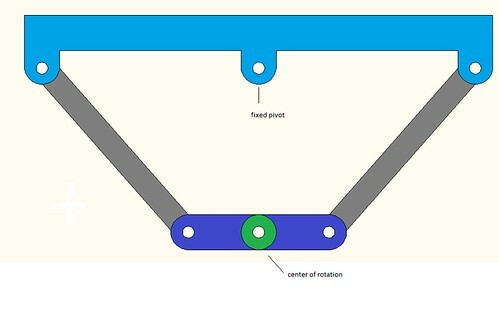 The rotation of the cam lobes causes them to take turns pushing alternating sides of the platform up, rocking it back and forth .The central red circle is the sprocket connected to the an electric motor which drives the system. A better view of one of the sides. 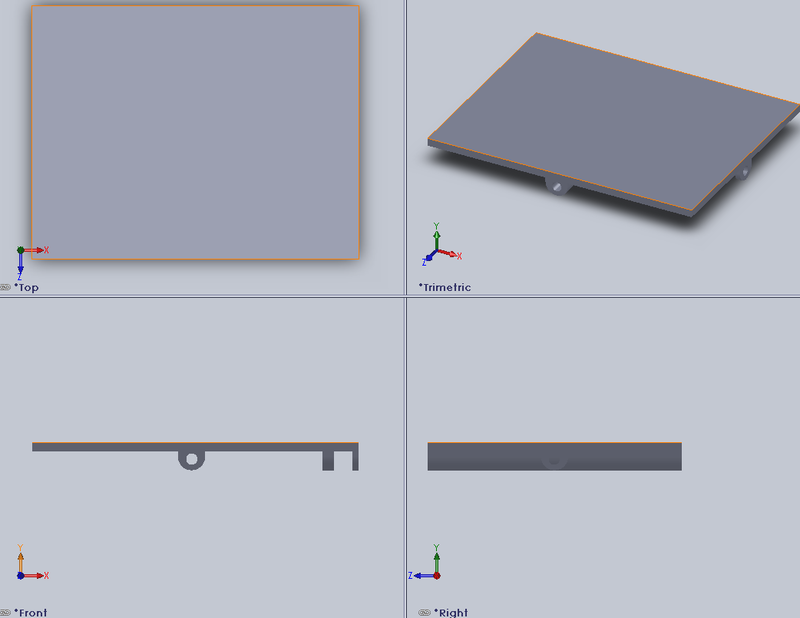 Give a brief description and schematics of the final design. Divide into as many subheadings as needed for organization. $971.27                *Prices do not include shipping. Our "gear" for transmitting motion with a peak-to-peak of 6mm involves drilling two holes into opposite sides of a steel rod. 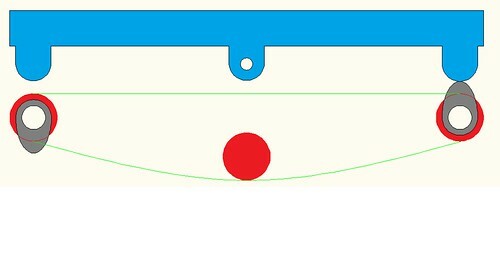 The holes are offset by 6mm to produce the necessary motion. On side takes the 5/8" diameter keyed shaft, while the other side takes a threaded bolt. As the motor spins forward, the naturally threading tightens the bolt preventing it from coming off during operation. The controller takes 12-volt power (up to 60 amps) and splits it up using pulse-width-modulation. By changing the duty-cycle of the motor controller's output, we control the torque output of the motor and thus the speed of the mechanism. A high-wattage computer ATX power supply adapted for use in our design was found to be the most cost-effective approach to providing power. Computer power supplies are proven, established technology and very cheap for their output. They are regulated switching powersupplies, and come with thermal and over-current protection circuits. This specific model provides two 12-volt lines with 43 amps current each. 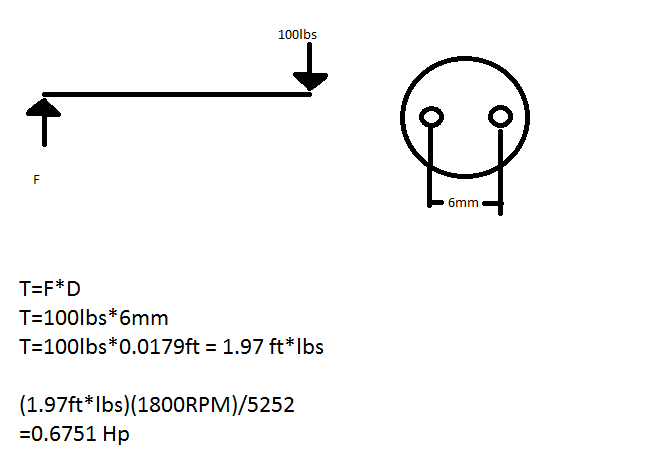 The motor should pull a maximum of 39 amperes at full-load; if this is determined to be too much for a single PSU power line, an additional circuit involving MOSFETs can be employed to split the loading current across both of the power-supply's two independent 12-volt power lines. Include as many descriptive pictures as possible.